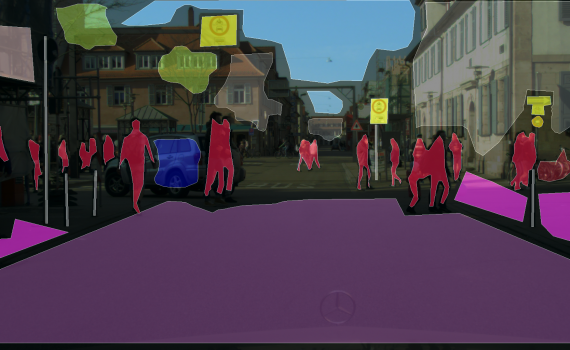 The Cityscapes dataset is used by the Robust Vision Challenge 2018 Workshop at CVPR 2018 in Salt Lake City. 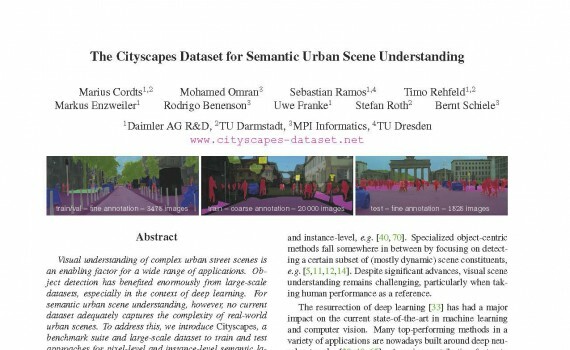 Our CVPR 2016 paper presenting the Cityscapes Dataset is now available. We include a detailed analysis of the dataset, baseline results, and discussions. Our evaluation server is now online, where you can upload your results on the Cityscapes test set, they get evaluated and you receive an email once this is done. 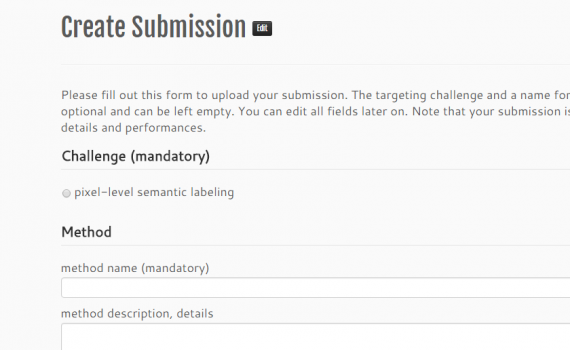 We just released the initial benchmark results for pixel-level semantic labeling. The Cityscapes Dataset is finally released. Please register and, upon approval, start downloading the data. 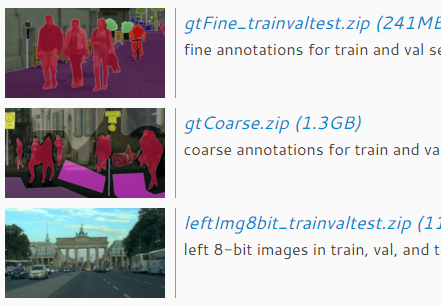 Examples of our coarse annotations can be found here. These annotations are intended to support research that aims to exploit large volumes of (weakly) annotated data, e.g. for training deep neural networks. 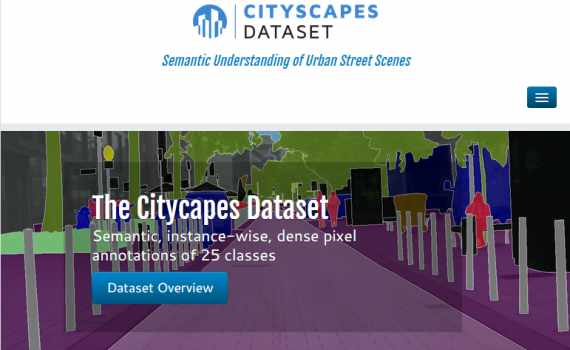 The Cityscapes Dataset website got a new design, based on WordPress and the Customizr Theme.